Third Point LLC’s billionaire founder Daniel Loeb has targeted Seven & I Holdings Co. for management succession planning criticism, warning the grocery and retail group against letting nepotism determine its next chief executive officer. 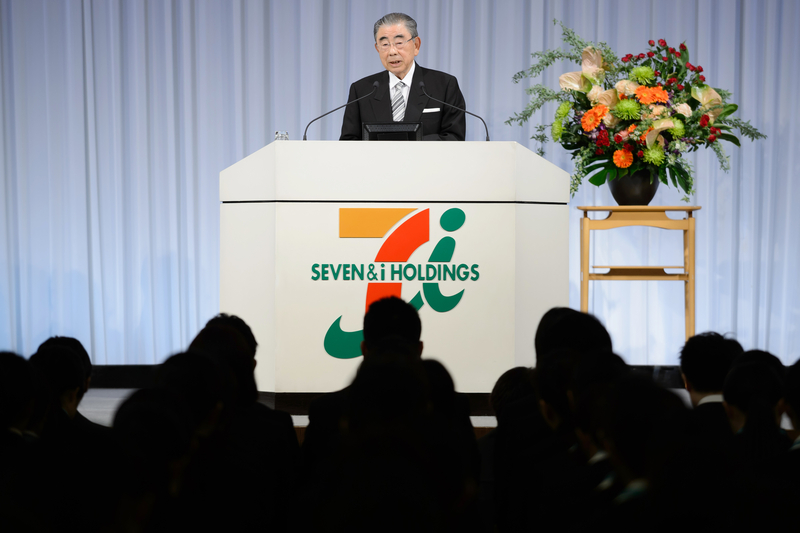 Seven & I CEO Toshifumi Suzuki, 83, is experiencing chronic health problems and investors fear he may try to name his son, Yasuhiro Suzuki, to lead Seven-Eleven Japan and eventually become president of Seven & I, Loeb wrote in a letter to the company dated Sunday. Ryuichi Isaka, the current president of Seven-Eleven Japan, should be a leading candidate for the position, and instead may be demoted, Loeb said. 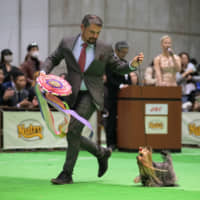 “The criteria used to determine the next CEO should be competence and the ability to run this company successfully, not family ties or preserving the Suzuki family dynasty,” Loeb said in a phone interview on Sunday. Kimiyoshi Yamaguchi, a Seven & I spokesman, declined to comment. Loeb, who first disclosed Third Point’s investment in Seven & I in October, has built a reputation for confronting boards over changes in management, including waging battles with Dow Chemical Co. and auctioneer Sotheby’s. His criticism of Seven & I is in line with his lauding of Prime Minister Shinzo Abe’s push to improve corporate governance in Japan by encouraging better deployment of cash and returns for investors. Loeb’s Seven & I investment was at least his fifth in two years in Japan and followed his disclosure of bets on Suzuki Motor Corp., robot maker Fanuc Corp., Sony Corp. and jet-engine maker IHI Corp.
“Our goals are fully consistent with the third arrow of Abenomics: a focus on shareholder interests and returns, and engagement in forward-looking corporate governance that should make Japanese companies more competitive and attractive investment opportunities,” Loeb wrote in the letter. Seven & I rose 1.98 percent to ¥4,911 as of the close of Tokyo trading Monday as the benchmark Topix index advanced 1.16 percent. 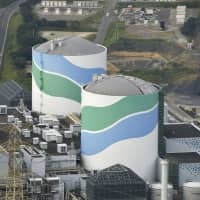 The company’s shares have declined about 8.63 percent since Oct. 26, the last day of trading before Japanese newspapers Kyodo and Nikkei first reported Third Point’s investment. Third Point hasn’t disclosed the number of shares it holds. Under Isaka, 58, Seven-Eleven Japan earned a record ¥223.3 billion ($1.97 billion) in operating income during the last fiscal year. Seven & I forecast Seven-Eleven Japan would earn a record ¥235 billion operating profit for the year ended Feb. 29. Third Point said rumors that Isaka will be removed from management are cause for “significant concern” and that he should be rewarded rather than demoted. 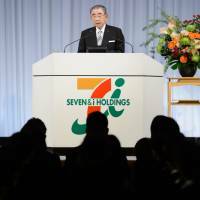 Kazuki Furuya, a Seven-Eleven Japan managing executive officer, may become interim president of Seven-Eleven as part of Toshifumi Suzuki’s plans to make Yasuhiro Suzuki the next president of the company, Loeb wrote. “I am confident that the board recognizes its fiduciary duty is to all the shareholders and other stakeholders of Seven & I and not to create a dynasty for the Suzuki family by hiring a caretaker manager who will later elevate Mr. Suzuki’s son,” he wrote. In addition to taking a position on CEO succession, Third Point said Seven & I should shrink and restructure its Ito-Yokado Co. general merchandise unit and divest retailers Sogo & Seibu Co., Barney’s Japan, and Nissen Holdings Co.
Loeb wrote that the company should focus on operating convenience stores, which generated 45 percent of its ¥6.04 trillion in revenue for fiscal 2015. Third Point has spoken to other Seven & I investors who share the activist hedge fund’s views on management succession, Loeb wrote. Third Point looks forward to “continuing our constructive dialogue with the company,” and has “no wish to create a public dispute at a future Annual General Meeting, but of course are willing to do so in order to protect our investment,” the billionaire wrote in his letter. Loeb’s activist tone with Seven & I follows his unsuccessful bid to get Suzuki Motor to cancel all of the shares the automaker bought back last year from Volkswagen AG following their unsuccessful alliance. 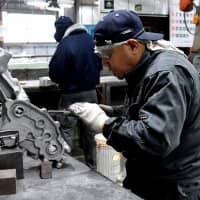 Although Suzuki said earlier this month it would cancel most of the stock repurchased from VW, it also said it would sell ¥200 billion of convertible bonds, a move Loeb told reporters in August that the company should avoid. A campaign that ended in October 2014 against Sony also ended with mixed results. Loeb proposed that Sony spin off part of its entertainment business and offered to take a seat on its board. Sony agreed to neither of those proposals, although Loeb said he managed to cajole the movie studio into cutting costs and walked away with a profit.